Lemax Holiday Shoppers Figurines (Set of 6) depicts a large family group dressed for Winter enjoying a Christmas shopping trip, loaded with presents. Favourite Lemax Village miniatures since 2010 from the Lemax Vail Village themed range, suited for placement in a seasonal Lemax display. 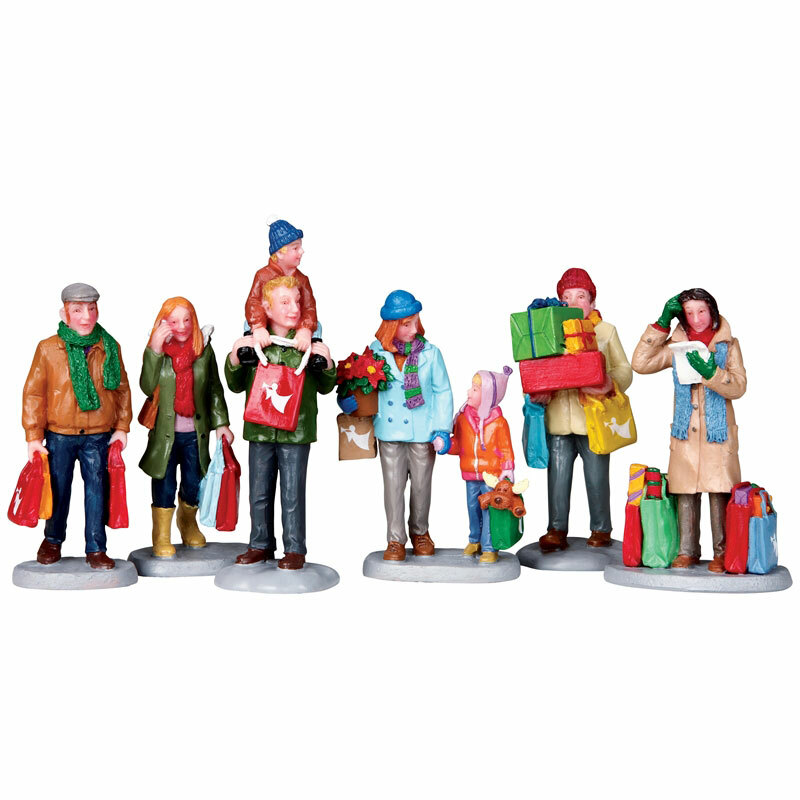 The Holiday Shoppers set comprises of six individual bases comprising groups of polyresin figures to compliment your seasonal Lemax Village Christmas display.